A reprint of an early edition of O’Rahilly’s Life of Fr William Doyle. This is a highly readable and moving account of Fr Doyle’s life. It is the single best source of information on the life and spirituality of Fr Doyle and is essential reading for those with an interest in his life. We cannot recommend this work too highly to our readers, for it is one of the best modern biographies we have seen, and has already done much to arouse an intelligent appreciation of Catholic asceticism both within the Church and without. Translations have been made into the German, Italian, French, Spanish, Dutch and Polish languages. 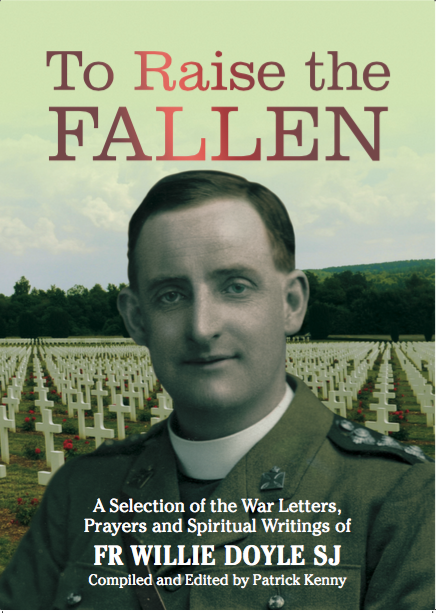 Professor O’Rahilly has given us an unique story of one of the outstanding personalities of the Great War and at the same time a study in spirituality which is destined to rank among the classics of modern religious life. 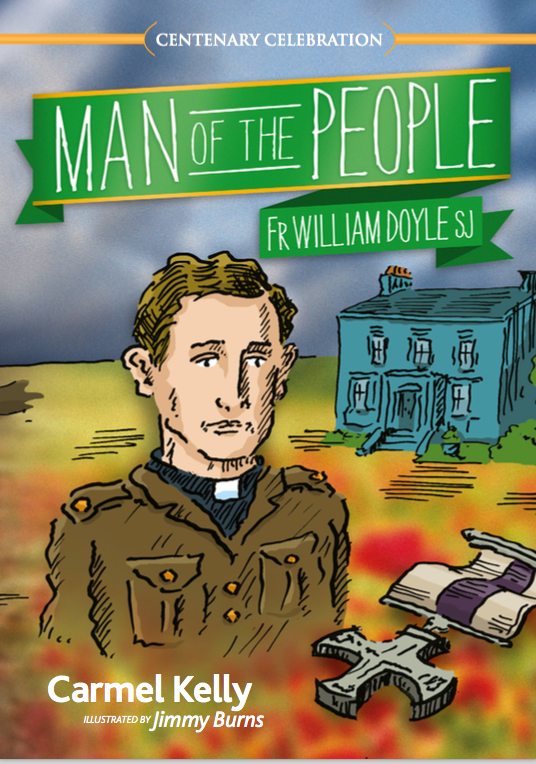 A reprint of the 1939 book about Fr Doyle, Merry in God. 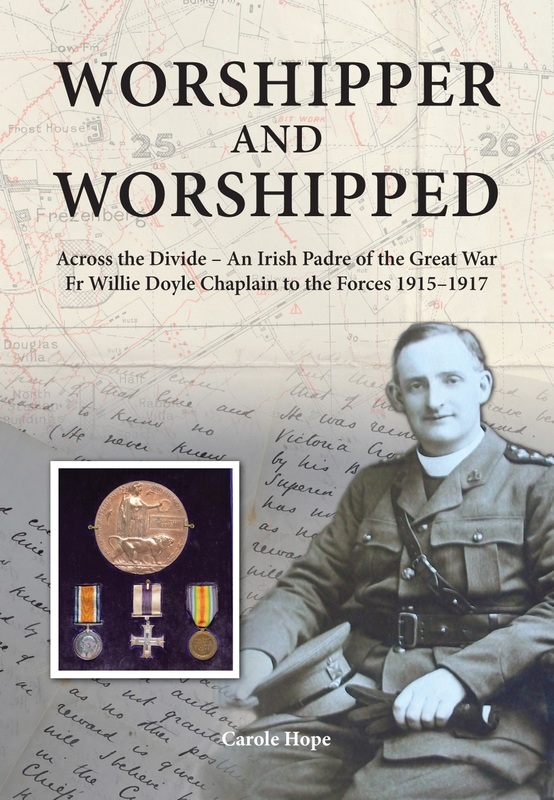 This book is largely based on O’Rahilly’s life, but includes new anecdotes and details of Fr Doyle’s life and does not treat the theological and spiritual aspects of his life in the same level of detail. The book was published anonymously. 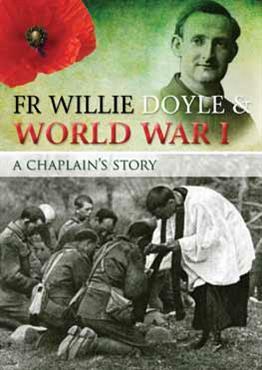 but was in fact written by Fr Willie’s brother, Fr Charles Doyle S.J. A pamphlet entitled “The exploits of Fr William Doyle”. I do not know the name of the author or the circumstances of its original publication. Please contact me if you have information. This pamphlet mainly focuses on his war exploits. The existence of this song is a good indication of the esteem in which Fr Doyle was once held. Many of the booklets on this page are reproduced with kind permission of Irish Messenger Publications. Collected From the Writings of Father William Doyle S.J. I have a copy- two of my friends would like to purchase this book. Also, most of the daily quotes form the basis for my commentary here, unless there is some anniversary or feastday that is discussed instead. I have owned this book since I was at school in the 1940s.& early fifties and have used the reflections in it most of my life. It’s trying to do the small things that keep one on the path to heaven. Not always easy.. Thank you all for this inspiring work. 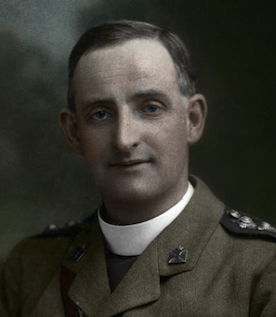 I stumbbled across this site by accident, and have found Fr William’s life story inspiring. I am praying that he will interced to Our Blessed Lord, for the cure of my nice Katies, who has a brain tumor, and for a young mother called Bridget, who has cancer. I believe, Fr William’s prayers will help Katie and Bridget, and their families, to have the Faith and courage to face the trials of the days and months a head. If there are any printed prayer cards I would very much like to have some, as I tried printing the prayer from the Web site this morning and it was the only part of the text missing. My Father William’s example and courrage, give todays Priests the inspiration to teach the True Faith in it’s wholeness and may they be obediant to the Holy Father and restore dignity to the Mass and other Liturgies. May Our Blessed Mother keep us safe under her maternal gaze. Ave Maria! I am sorry to hear about these illnesses. I will certainly pray for Fr Willie’s intercession in this matter. I have some prayer cards that I have personally printed for private use. I would be happy to send some of them to you. Please email me at frwilliedoyle@gmail.com with your address and I will send them. God bless you and Katie and Bridget. 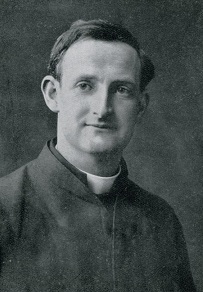 Father William Doyle S.J. (1922) by physicist Alfred O’Rahilly is available for free from Archive.org. The paperback book ‘Trench priest’ is available from the Redemptorists of Papa Stronsay. 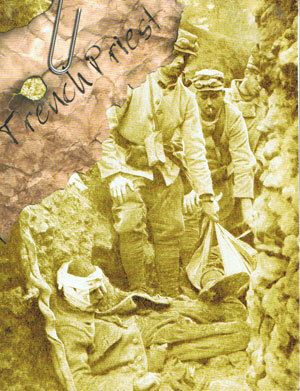 They published it, with many photographs and anecdotes. It is a mixture of Merry in God and Alfred O’Rahilly’s book. It is very good.